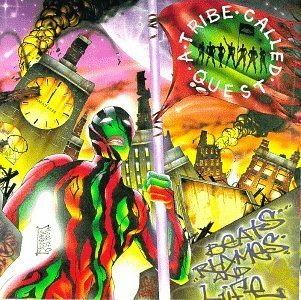 Beats, Rhymes and Life is the fourth album of the hip hop group A Tribe Called Quest. Released in 1996, it followed three years after the highly regarded and successful Midnight Marauders. This album is a departure from the joyful, positive vibe of the earlier albums and is regarded as the group's darkest album in content. It reached number-one on the Billboard 200 and Top R&B Albums charts. With the same energy, check out the new, engaging and high-energy trailer for Michael Rappaport’s highly anticipated documentary on the seminal hip-hop group Tribe Called Quest. The trailer outlines the story of how the group met, their unexpected rise to fame, their influence on current rappers and their eventual dramatic unraveling due to a feud between Q-Tip and Phife Dawg. The scheduled release is for July 8th, and it is sure to be a must-see for anyone who thinks of themselves as a fan of modern hip-hop.